Hours: Daily, dawn-dusk. 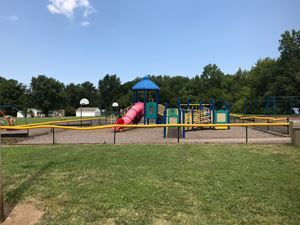 A sign is posted that the playground is not to be used while school is in session. Fenced: One play set is fenced, another partially fenced with a rail fence. There is also a tall fence between the playground and Detroit Rd. Roadway/Water Nearby: Close to Detroit Rd. Adapted Equipment: The fenced play set is wheelchair accessible and offers hand activities and there is one adapted swing. A second play set (not fenced) also includes some hand and sensory activities but it is on mulch and not wheelchair accessible. 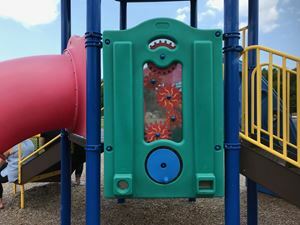 Parent Comments: This playground has a blend of old and new equipment, including three play sets and lots of swings. Families we talked to on the playground said they enjoyed this spot because it is almost never crowded. 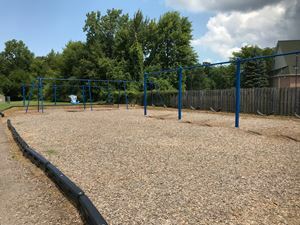 Sections of the playground are fenced, but the fence is low and likely not suitable for a child who is determined to adventure. There is some shade at one end of the playground, but not a lot. 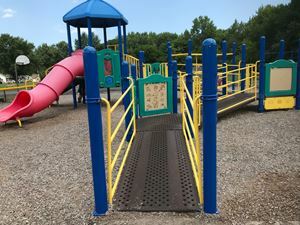 Photos were taken on July 29, 2018 at Avon Village School in Avon. 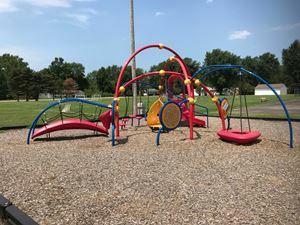 For more playgrounds in the area that have been recommended by Connecting for Kids families, please see our parks and playgrounds list. 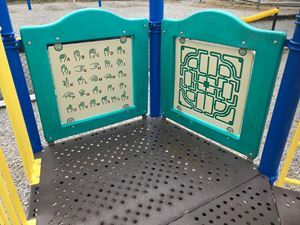 The wheelchair accessible play set is in the center of the playground and contained by a low fence. A paved path leads to the wheelchair ramp. From there, several hand activities are a available. A sample pf of the hand activities in the wheelchair accessible play set. 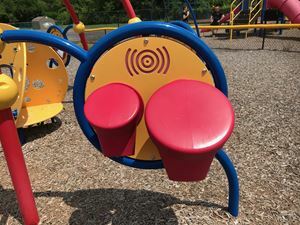 A child on the ground can interact with one on the play set with this wall that includes a spinner and listening stations. 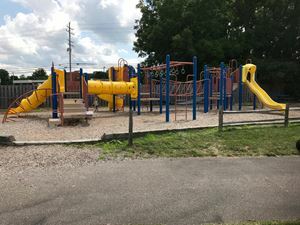 The older play set (closest to Detroit Rd.) is partially enclosed by a rail fence. 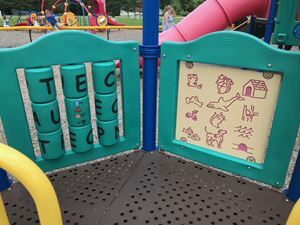 The newest play set is not enclosed. It offers a number of sensory activities. Due to a step up, it is not wheelchair accessible. 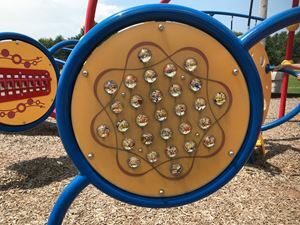 Marble spinner visual sensory activity on the newest play set. 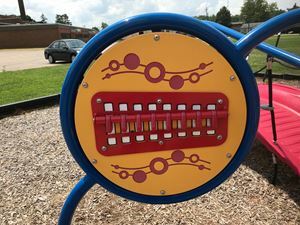 Musical activity on the newer play set. 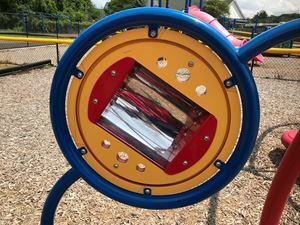 Mirror visual sensory activity on the newest play set. Many swings were available, including infant swings. 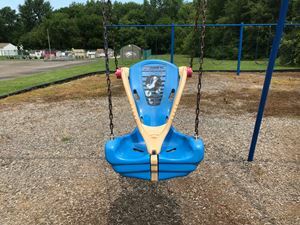 The adapted swing was on the larger side, suitable for an elementary-age child.